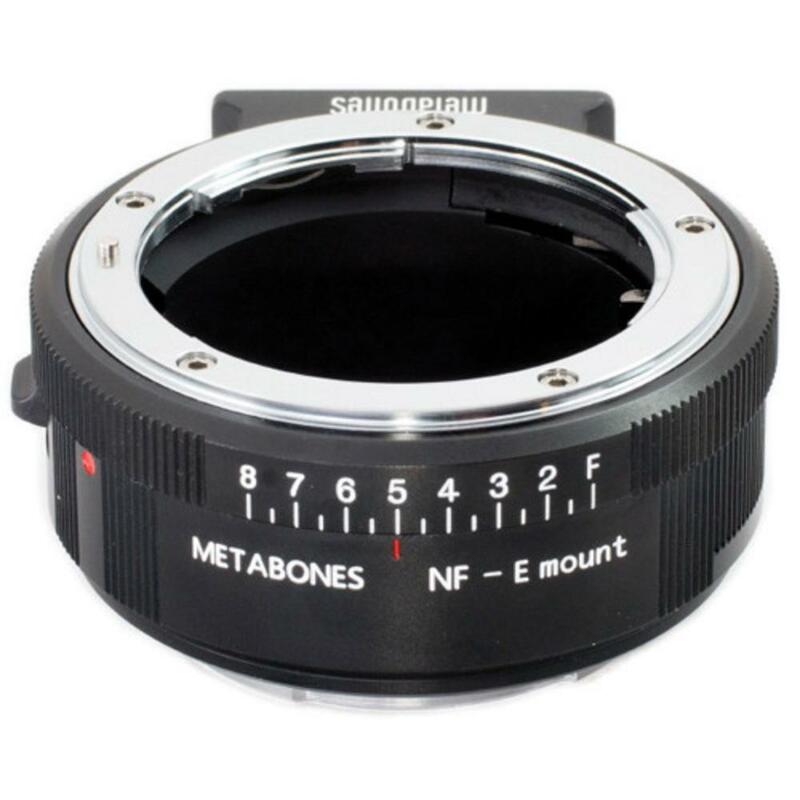 The Metabones Nikon F-Mount G Lens to Sony NEX E-Mount Camera Adapter allows for Nikon F mount lenses to be attached to Sony NEX E mount/FE mount cameras. 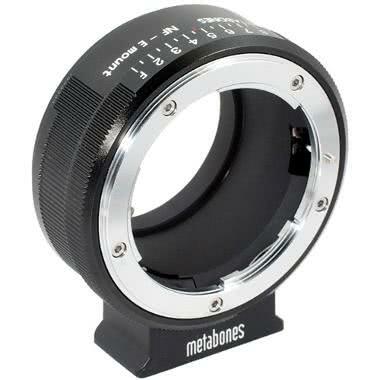 While AF is lost when using this adapter, aperture control is still available and allows lenses to teach infinity focus. • Autofocus is NOT retained when using this adapter. 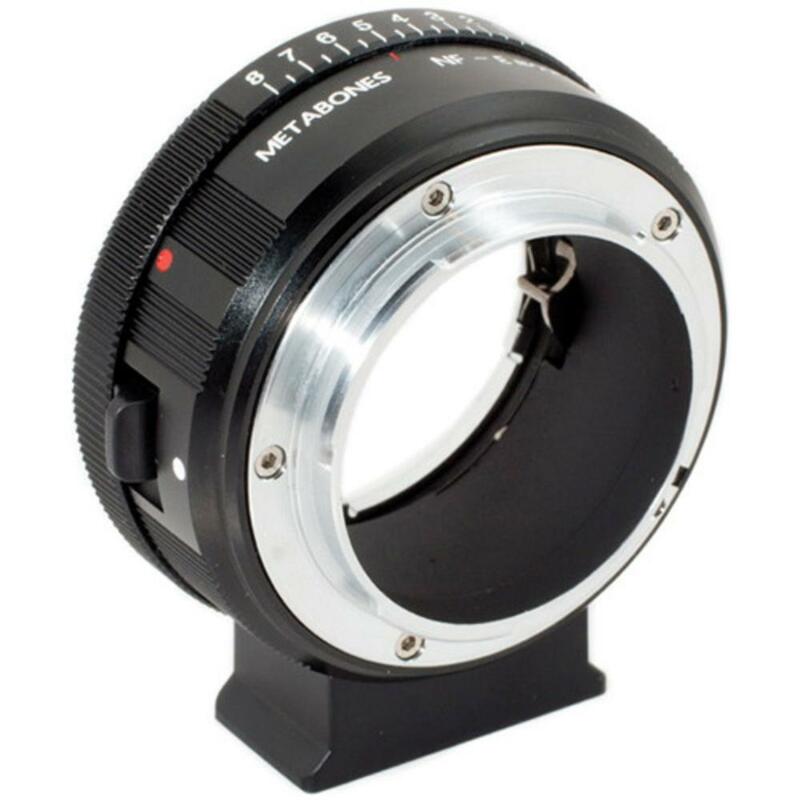 • This adapter is NOT compatible with with Nikon F-Mount AI-s or AF-D lenses that have an aperture ring. • This adapter comes with a 1/4-20 thread socket in the foot for mounting stabilization (not included) onto the adapter to take stress off of long lenses. • This adapter is compatible with both crop sensor (E mount) and full frame sensor (FE mount) Sony cameras. Note that using crop sensor Nikon lenses with this adapter on a full frame FE mount camera, such as the a7 may require shooting only in the camera's "crop mode" only. Experiment accordingly.